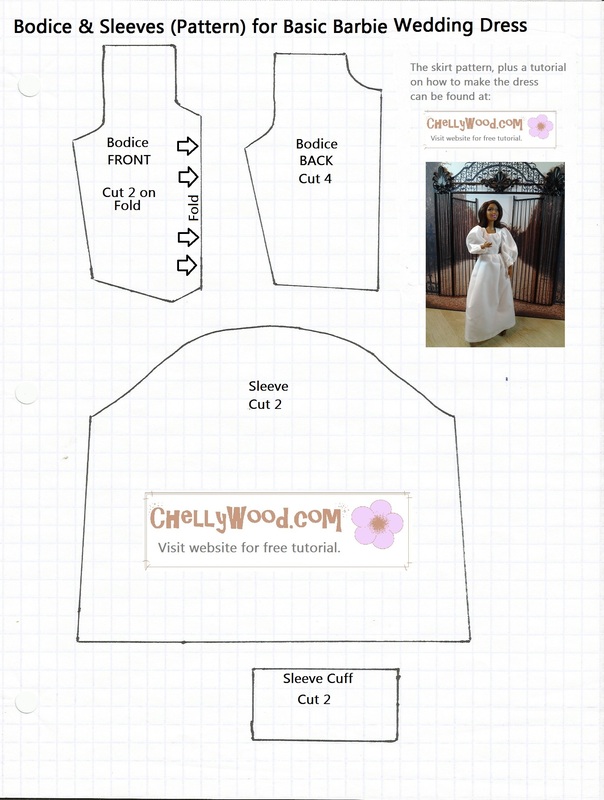 Sewing patterns and video tutorials to match are free at ChellyWood.com. Please show your appreciation by liking, pinning, or tweeting. Thanks! Before people get all in-my-face about an African-American doll playing a servant in my upcoming stop-motion film of Romeo and Juliet with dolls, let me remind you that Romeo’s cousin, Benvolio, is also played by an AA doll, as is Friar Laurence. I felt it was important to include characters of African heritage in the cast of this play because, as everyone knows, people of African heritage would have been living in Europe during Shakespeare’s time. In fact, the Bard wrote a whole play about a man of African heritage who rose to a high rank in the Italian army–Othello (my favorite Shakespeare play of all). My daughter has done a fabulous job of Juliet’s nurse’s make-under. This doll came with light-brown, straight hair. We gave her a curly, natural-looking wig, and my daughter stripped her of her “Vegas showgirl” makeup and painted her with a fresh, wholesome look that suits an early Renaissance setting. Her costume is one of the easiest to make, and it’s very versatile. She looks great without the apron and bonnet as well. 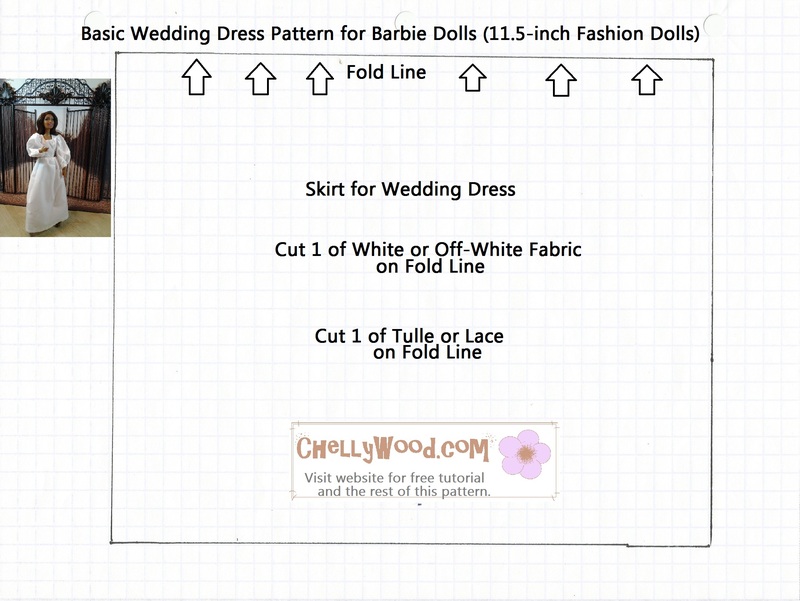 To sew her dress, use the basic wedding dress pattern (here’s pattern 1 for that, and pattern 2) found on my Doll Clothes Patterns page. This wedding or quinceañera dress tutorial will show you how to make the basic white dress she’s wearing beneath her pinafore. This is the pattern for the yellow pinafore, and here’s the tutorial showing you how to make a pinafore just like it. 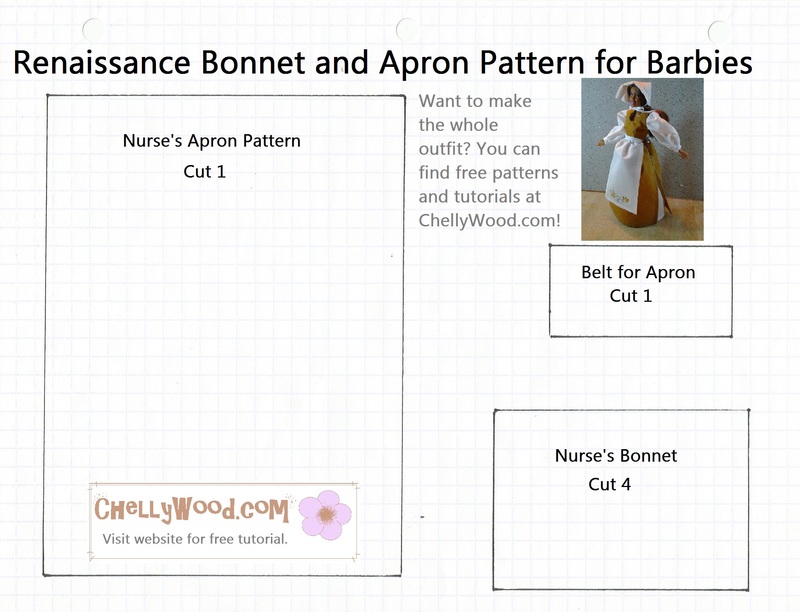 The bonnet and apron patterns can be printed on one sheet of paper, but there are two different tutorials showing you how to make these. 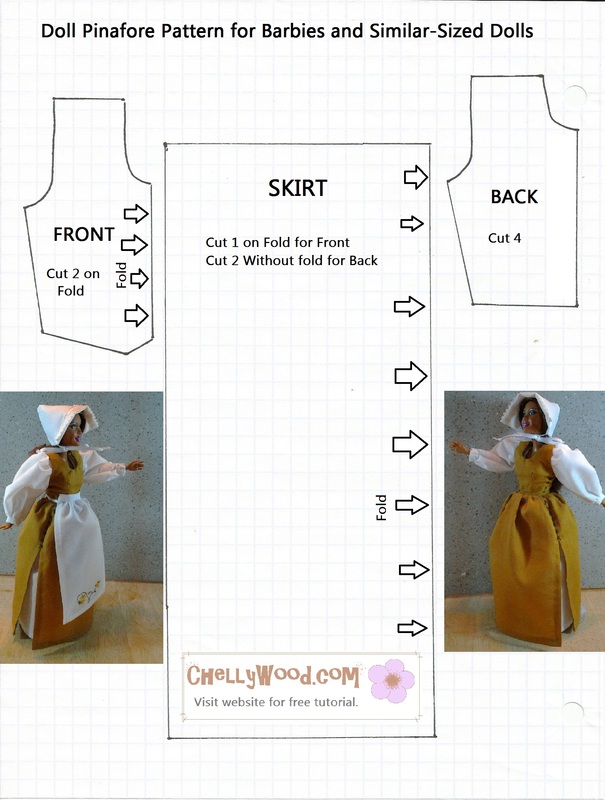 Here’s the tutorial for the bonnet, and here’s the tutorial for the apron. People often ask me why I give away my patterns and tutorials for free. There’s no catch. I just want people to know about my website; that’s all. So when you print my patterns, it’s always friendly and kind to like it on FB, tweet about it, and/or pin it to your Pinterest page. That way you’re helping to spread the word that these free, printable sewing patterns exist. Also, you must enlarge my patterns to fit a full-sized piece of American computer paper (8.5 x 11 inches or 216 x 279 mm) before printing. (Here’s a tutorial to help you download my patterns, if you need assistance.) My designs use a 1/4 inch seam (standard for fashion doll sewing projects). If you have any questions about piecing this costume together, feel free to contact me, using my “Submit a Question” form. I’m always happy to help!